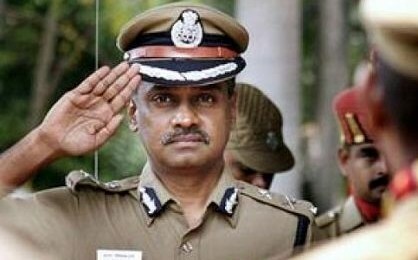 Senior IPS officer A K Viswanathan, former Additional Commandant General, Home Guards, assumed charge as Commissioner of Police, Greater Chennai on Monday. Mr. Viswanathan replaces Karan Singha who was posted as Chennai police commissioner by the Election Commission on March 25 ahead of the April 12 R K Nagar bypoll, which was cancelled later. Singha’s transfer and posting to member of Tamil Nadu Uniformed Services Recruitment Board (TNUSRB), comes within less than two months of his posting as Chennai city police commissioner. Officer Viswanathan who hails from Erode is the 104th police commissioner of Chennai. He is from the 1990 IPS batch and was initially posted as assistant superintendent of police at Dharmapuri. He later served as Superintendent of Police in Madurai between 1995 and 1998 following which he was with the state police special branch from 1998 to 2001. Later, he was on deputation as SP with the CBI. He was promoted as DIG Intelligence in 2006-2008. Viswanathan has earlier served as Additional Commissioner of Police (Law and Order) Chennai. He comes from a family of cops. Viswanathan’s grandfather retired as a head-constable while father P Aiyasamy had retired as a superintendent of police. He is married to Seema Agarwal who is also a 1990 batch IPS officer, currently serving as additional director-general of police, State Crime Records Bureau. Here’s wishing Officer Viswanathan IPS all the very best! !